Let’s face it, we’re all busy and don’t always have time to prepare a home cooked meal. I always have a hard time trying to choose healthier options on fast food menus. Obviously fast food isn’t ideal but in this day and age it is the go to food of choice. It makes it even harder to eat out if you have dietary restrictions. At home we try to choose local and organic ingredients as much as possible so why not expect that from a food establishment. I was excited to learn of B. GOOD Canada. 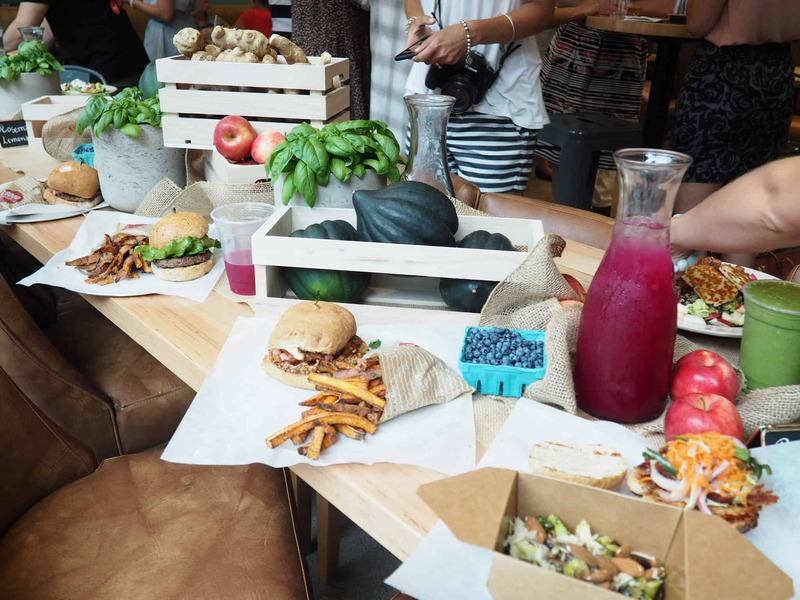 It is a new “fast food” chain dedicated to offering locally sourced ingredients with an emphasis on healthy, organic, non-GMO, preservative-free foods. 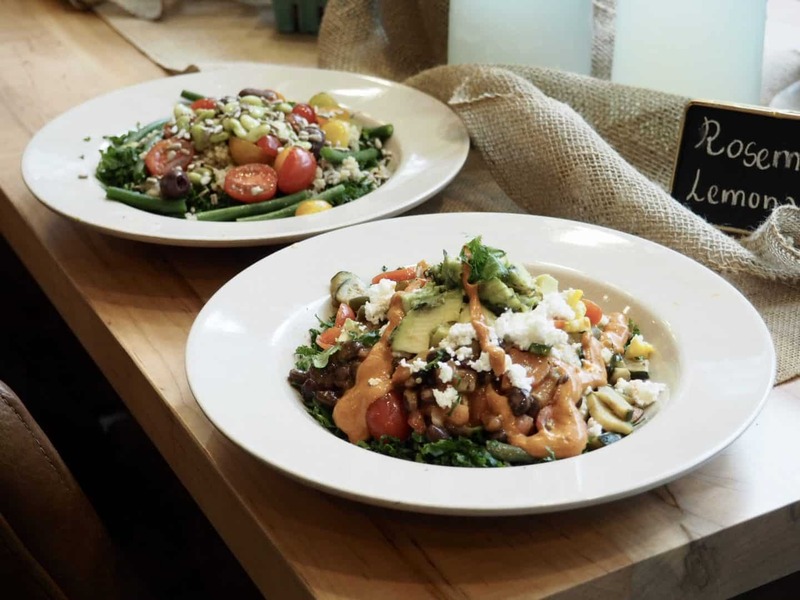 They specialize in farm-to-table items such as salads, burgers and kale and quinoa bowls. B. 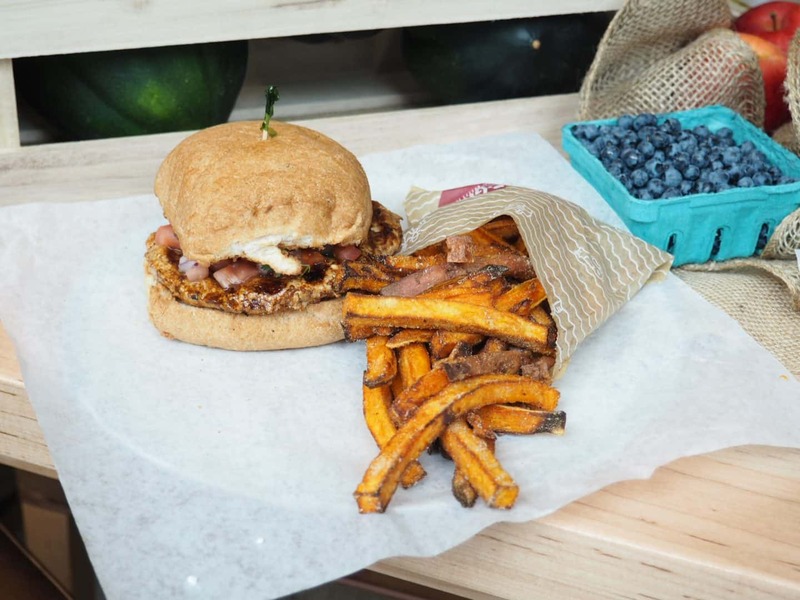 GOOD is committed to great tasting, wholesome foods made with local ingredients. 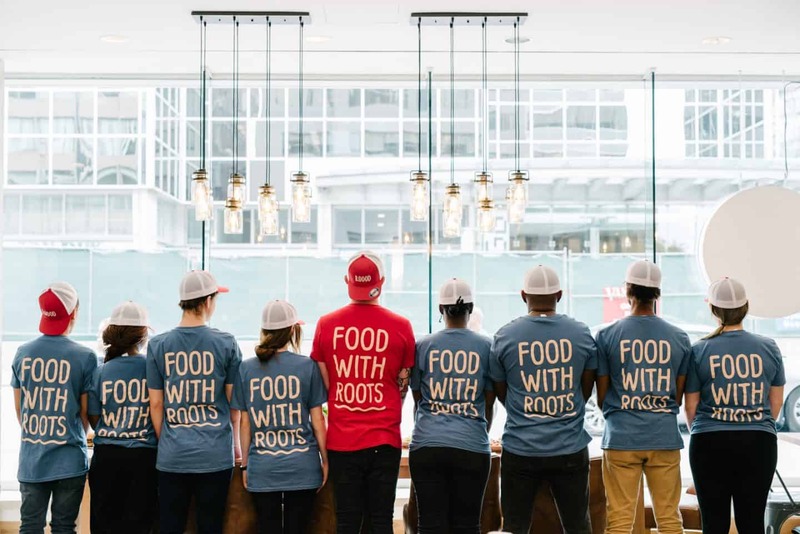 This is the very foundation of the business, which is rooted in connecting people through food. Ultimately, every individual becomes part of the B.GOOD community, a mission since the beginning. There are several locations across Toronto and one in Oakville. B. 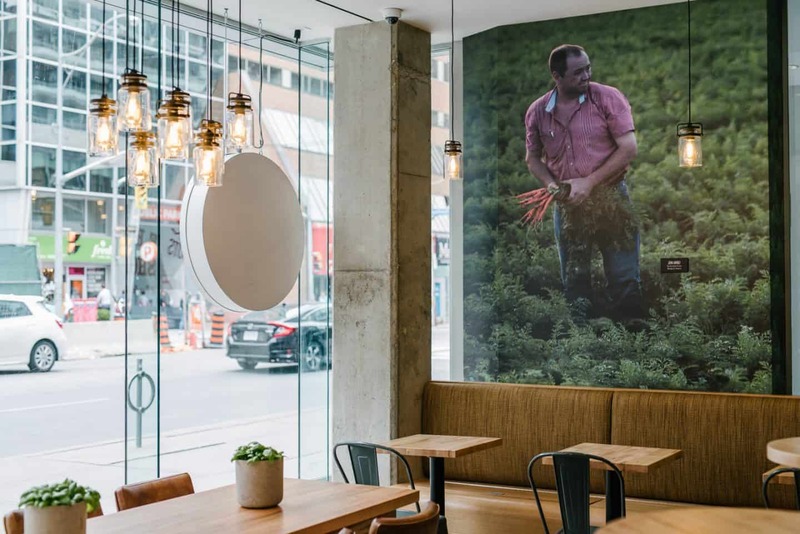 GOOD is proud to welcome a fifth member to their family, now open to Toronto’s mid-town neighbourhood, at Yonge and Eglinton. They are on a mission to bring a farm-to-table to urbanity the story behind B. GOOD sets the bar for the city’s other quick service establishments. Having started under the simple premise to make real food fast, B. 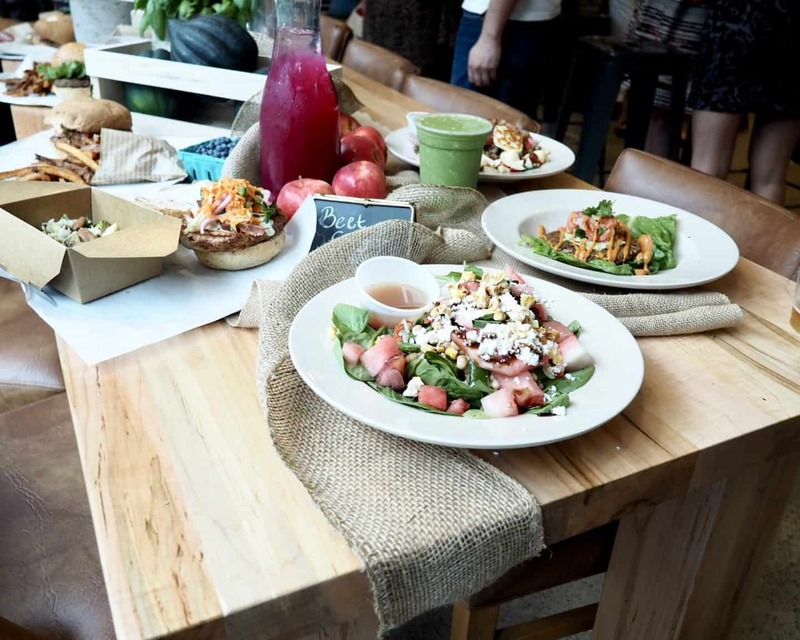 GOOD takes a more conscious approach to the food they choose to serve. B. GOOD is the result of two friends, Anthony & Jon, who grew up eating in their uncle’s kitchen. They became fond of his homemade food and yearned to experience this on a regular basis. 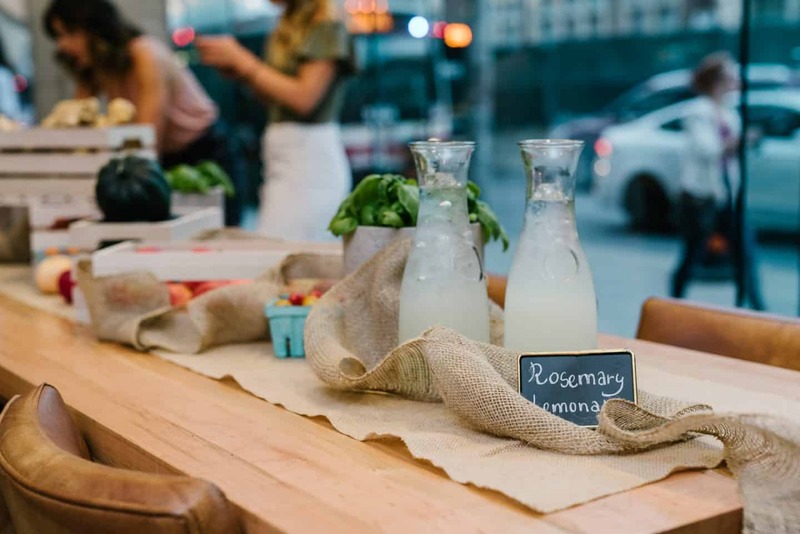 Fifteen years later, they started a business together around a simple idea- make fast-food “real.” Their mission is to use “food with roots,” paying homage to the growers and producers they work closely with to provide the highest quality products to their customers. They care deeply about accommodating their guests, especially those with dietary restrictions. To celebrate the launch of their new location, I had the opportunity to attend their media dinner along with some other local bloggers. 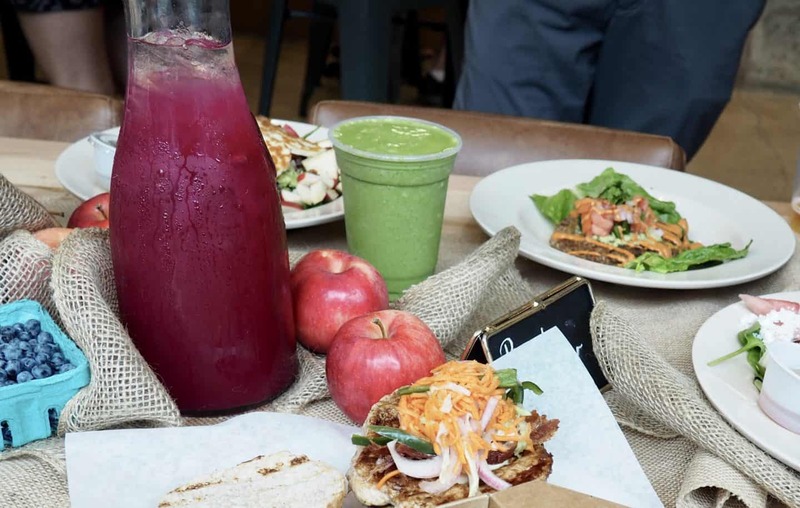 We had the option to try some of their healthy menu items that included my favourite beet and ginger lemonade. They have a chalkboard displayed that lists the restaurant’s local sources for its produce, bread, beef, cheese and ice cream, plus pics of these “makers” displayed on the tables and counters. 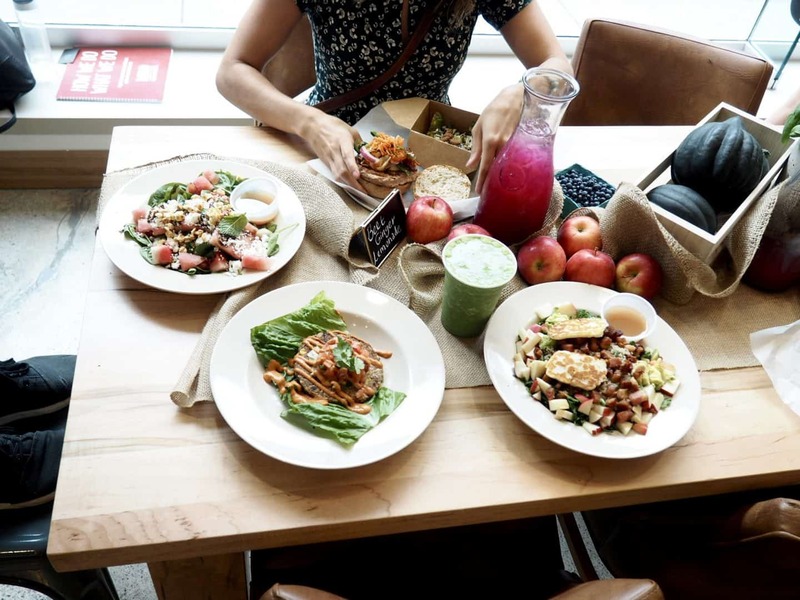 I love that the menu items are made with locally sourced ingredients with an emphasis on healthy, organic, non-GMO and preservative-free. You can find all the ingredients of their menu items on their website. No matter what your dietary needs may be, they are very accommodating to your needs. Who knew kale could taste so good! These bowls are a popular menu choice. 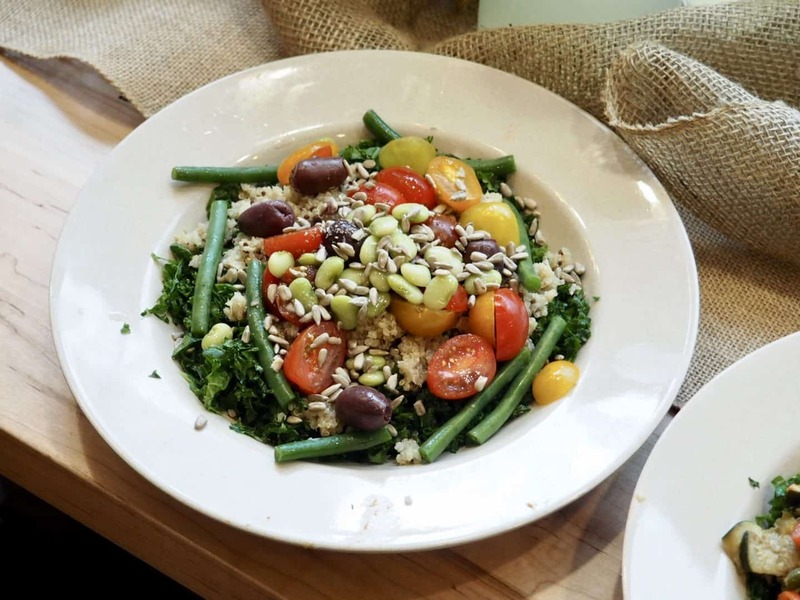 You can choose from organic quinoa or the super-grain mix. There are so many bowls to choose from making for the perfect lunch or dinner. 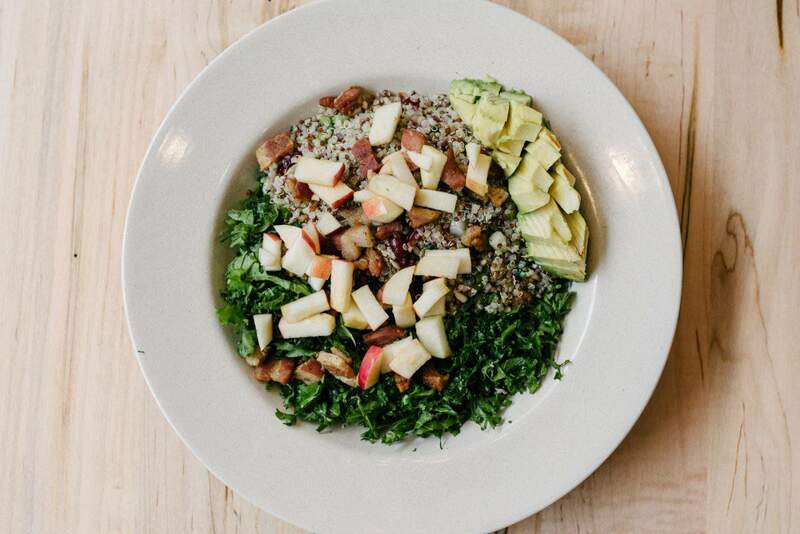 Spicy Avocado & Lime, Local Apple & Bacon, Power Bowl, Farmstand Tomato Basil and the Mediterranean Chicken. Who does’t like a good burger! I enjoyed the juicy West-side turkey burger that was made with avocado, cilantro salsa, chipotle puree and lime. I have recently eliminated gluten from my diet so I was happy to hear that they offered gluten-free buns. I love that they have so many options for different dietary styles and restrictions. As you can see, I had a side order of my favourite sweet potato fries. The cilantro salsa and chipotle puree gave the turkey burger so much flavour. They have a wonderful smoothie and shake selection that changes depending on what’s fresh & in season. If you want to feel good about the fast food selections you make then B. GOOD is a must try. Are organic, locally sourced ingredients important to you? B. GOOD’s new location is located at 75 Eglinton Ave. E. The major intersection is Yonge and Eglinton. It’s a short walk up Eglinton subway station. For more information, check out their website here. Disclaimer: This post is in collaboration with B.GOOD. However all thoughts and opinions expressed are my own.